Electric Scooters are like an adult kick scooter but with the added bonus of having a battery to get you faster and further. 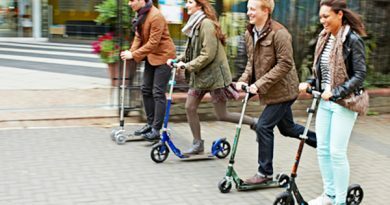 Just because electric standup scooters are fun doesn’t mean they can’t also be a viable commuting alternative or a mode of alternate transport. Urban or rural, an electric adult scooter is a surprisingly easy and fun way to get from A to B and further! A terrific alternative to feeding the gas hungry car and more fun with easier storage than a bicycle. 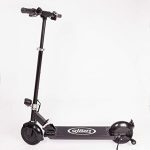 A newcomer to the market is Glion and they are making a serious impression in the electric scooter market with this model targeted at the adult scooter enthusiast. 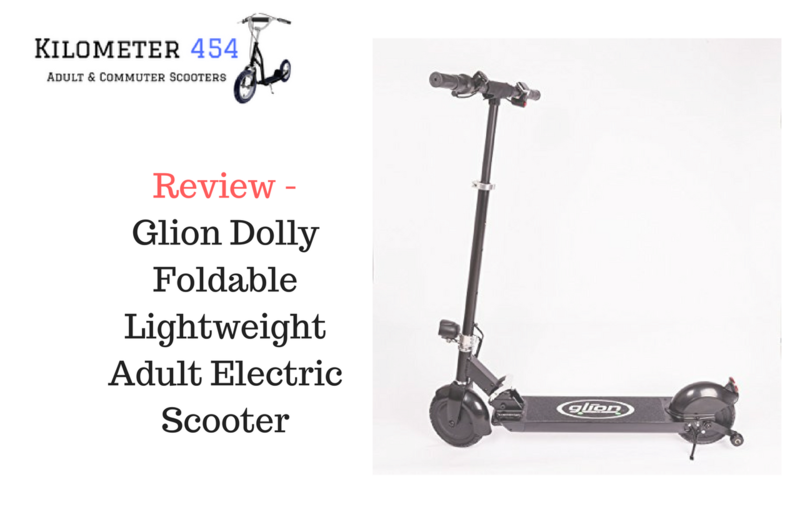 Let’s take a look at the Glion Adult Li-Ion Battery, Dolly-Fold Scooter. It is built well and designed to be a travel companion / solution. Designed to be simple to operate, made to be reliable for even the most demanding rider yet remarkably quite. The power comes from a 36v 6.6ah rechargeable lithium ion battery and it packs a powerful punch via its 250-watt brushless hub motor that is tucked away neatly in the rear wheel. 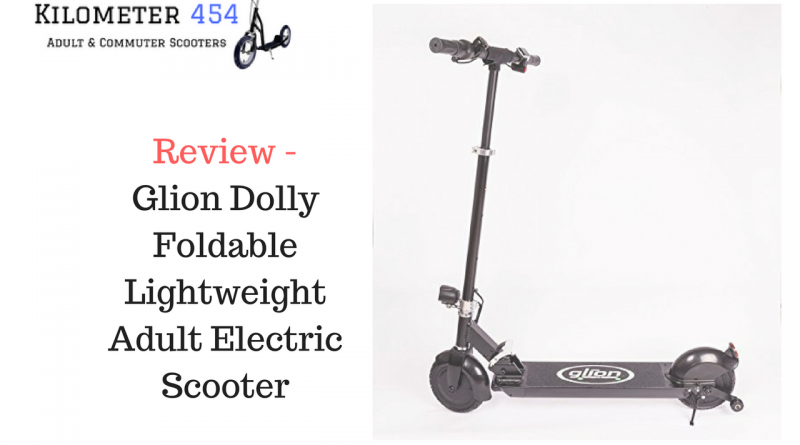 What’s great about the Glion Dolly foldable scooter is that you are riding easily without the worry of either gears or a chain. 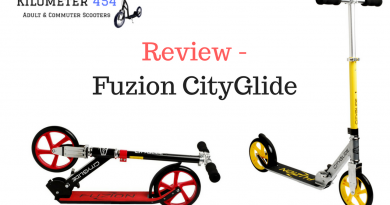 The motor is quite and you can (as an average adult) glide along at up to 15 miles per hour! Add to that a distance of up to 15 miles on a full charge and this is an electric scooter that for many of us Urban dwellers can be used for the whole commute not just the first and last mile as is often the case with Adult Scooters that need kick power! The frame is made from 6061-T6 aircraft-grade aluminum so it is designed to be lightweight yet incredibly durable. They then finish this frame with a powder coated pain so your scooter is free and protected from corrosion and rust. The tires are unusual as they have a honeycomb interior that is based on a military design, a solid 8 inches of wheel for stability with the added benefit of never going flat. To stop this beast, you need a good braking system and Glion have delivered as in the rear hub motor they’ve added an antilock electronic brake, stopping is safe and smooth. The controls are set so they are easy to use and they are all treated to be water resistant. 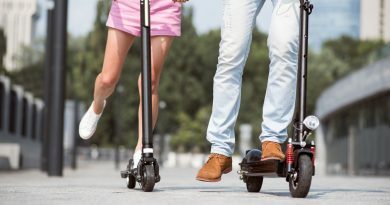 To operate the Glion Dolly Foldable scooter you have a twist-grip (twist and go) accelerator on the right, on the left is a twist-grip brake for easy stopping. 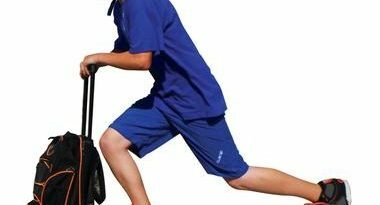 Fitted to the handlebars as well is a clear battery indicator tracking your battery life, a pedestrian bell for safety and it even comes with its own cover style bag. It folds amazingly quickly with its 1 second, foot activated folding mechanism. 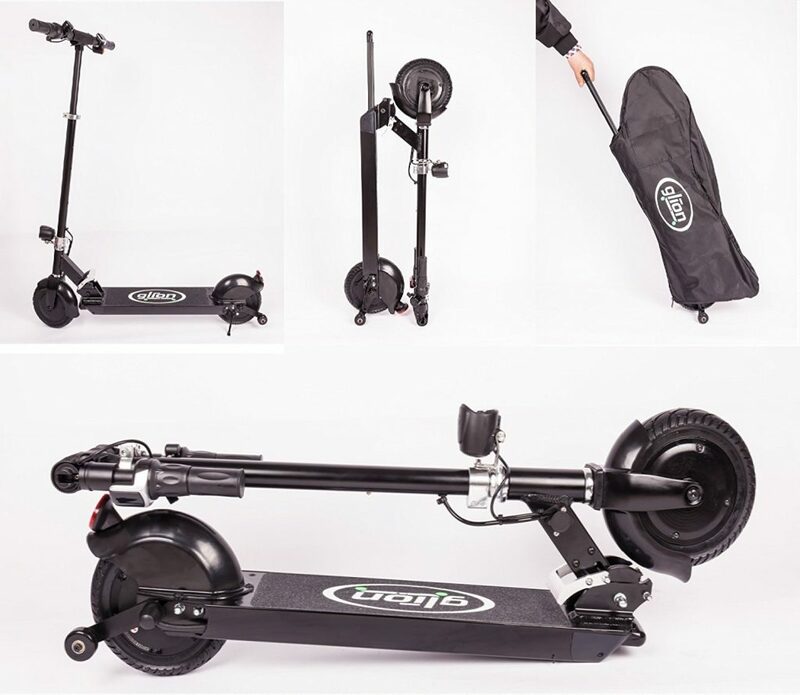 At just 28 pounds it is a scooter than can be carried but Glion have even factored in patented vertical self standing feature, use the retractable handles and roller wheels and suddenly, the scooter can be rolled along while you walk, just like a suitcase! All the controls are water resistant, convenient and easy to use. On the right, a twist-grip accelerator makes it go; on the left, a twist-grip brake makes it stop. An easy to read handlebar-mounted battery indicator keeps track of battery life. It comes with a pedestrian bell and cover bag. Brake - It is very aggressive braking - be aware!